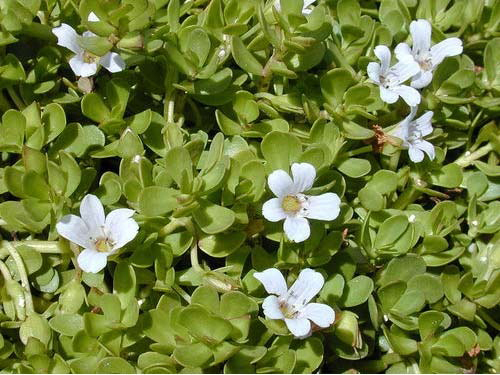 Bacopa herb contains many compounds including bacopasaponins such as bacoside A, bacopaside II, bacopaside I, bacopaside X, bacopasaponin, bacopaside N2 and minor components bacopasaponin F, bacopasaponin E, bacopaside N1 bacopaside III, bacopaside IV and bacopaside V.
The total saponin content in samples, plant materials and extracts vary from 5 to 22%. Dammarane-type triterpenoid saponins classified as pseudojujubogenin and jujubogenin glycosides are reported as some of active components in this plant. Bacopa improves memory, the effects of a standardized Bacopa monnieri extract on cognitive performance, anxiety, and depression.The mode of action of brain cell protective effects is due to the antioxidants that suppress neuronal oxidative stress and the acetylcholinesterase inhibitory activities. Treating patients with bacopa extract may be a way to treat neurodegenerative disorders associated with oxidative stress as well as perhaps Alzheimer’s disease.